Just like mobile phone devices, laptops are also likely to be damaged, and there are many laptop repair stores which are there to make sure that the users can have their beloved laptop repaired. In this article, we will be talking about the most common laptop failures. For starters, we will discuss a little about the history of Laptops. Laptops are known to be lightweight and portable computers. Laptops are very popular among groups of students, businessmen, and people who like to use their computer on the go. Because of their handy portability, laptops can be more costly than normal computers. Even being portable, laptops can be as powerful as computers, and they also present the option of being hooked to external keyboards and monitors. When we talk about the history of Laptops, it goes way back to the 1970s and 80s. That was the time when multiple attempts were made to make small and portable personal computers. With many prototypes being developed at that time, it’s hard to say who invented the first Laptop. However, The Grid Compass is believed to be the first portable computer that came out in 1982. In the1990s, big names in the computer industry like Apple, Dell and Gateway started to compete to make laptops. The first version of the Windows operating system to streamline the design of laptops was made by Microsoft in 1995. This was a brief overview of the history of laptops. In the modern era, laptops are dominating the market. Sales of laptops launched by the big manufacturers are rising rapidly. There is no denying in the portability and handiness of laptops as compared to PCs. So we can’t blame the users to ditch their PCs and switch to laptops. With the growing technological advancements, manufacturers are making powerful gaming laptops to attract the population who is interested in playing video games on their computer. It is also one of the reasons why a lot of people are willing to buy laptops because they can fulfill their entertainments needs on the go. Now as we know that multiple people are deciding on buying and using laptops, there are many failures or problems that they are facing. Like other gadgets, laptops are also vulnerable and prone to damages and repairs. You must have heard that many people drop their phones and break them, but there are also many people who don’t carefully use their laptops and end up making many laptop repairs. There are some repairs that users have to do as their laptop ages. You must have heard the saying. “Nothing lasts forever,” which means that as your laptop ages it will start to face certain failures that you need to deal with. We will first list all of the most common Laptop failures. Then we’ll discuss them in greater detail and how you can get them fixed. Now let’s talk each of these in detail. For us, the main advantage of a laptop is that you can take and use it anywhere for long periods. However, there is one catch here. For us to be able to use a laptop anywhere for a longer time, the laptop needs to have a good battery. What’s the use of a laptop if you have to keep the charger plugged in all the time, right? It is one the most common failure that can happen to a laptop, a failing battery. When you buy a new laptop, it will surely give you great battery time, but as the time goes on, you might start to experience poor or less battery life. That is caused by a dying battery. Another symptom of your laptop having a failing battery is when it’s charging very slowly or not charging at all. Some might say that the DC jack is too loose in this scenario. So if your problem can be solved by adjusting the plug, the DC jack is loose, and you have to get that repaired. If that’s not the case, then you need the change the battery of your laptop. There are many tutorials available online which can guide you how to change the battery of your laptop. For starters, you can try to take out the battery and plug it in. If the issue remains, you have no option other than to take it to a laptop repair store and have the battery replaced. 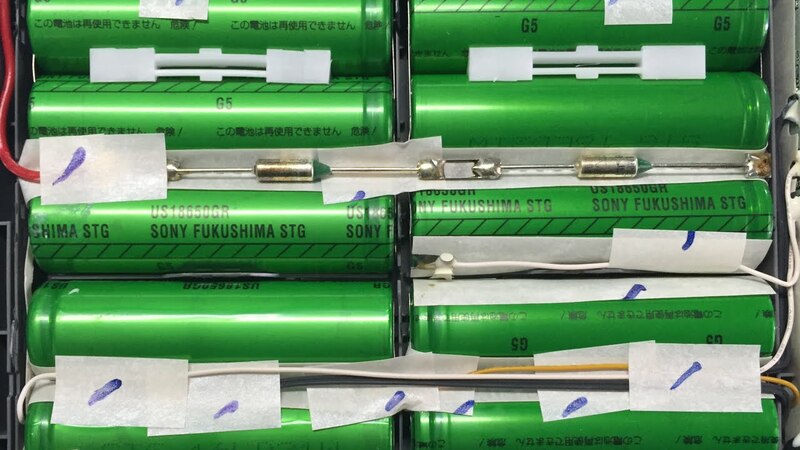 You can find great deals on laptop batteries on online retail stores like Amazon. If you don’t want to change the battery yourself, we would highly recommend you to take your laptop to an expert technician who knows how to do the job efficiently. Along with the advantages like portability, laptops are considered to be very vulnerable as well. One of the most delicate parts of a laptop is its screen. 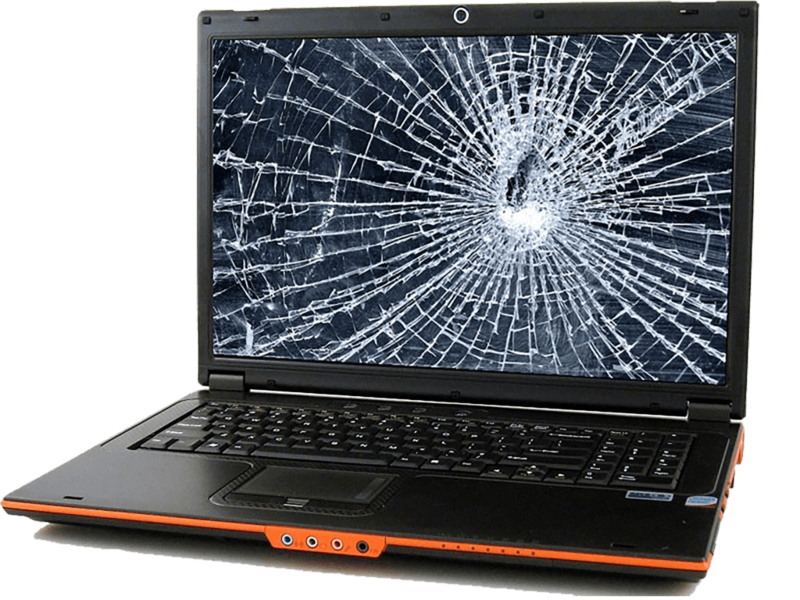 We have seen so many people dropping their laptops on ground and end up with broken screens. It is also one of the most common failures of laptops. There can be multiple issues with the laptop screen. Some laptop screens might not show anything at all, while some might show a faint display or we see multi-colored horizontal or vertical lines. Displaying pixelated imagines and flickering on and off are also some of the symptoms of a broken screen. Apart from dropping the laptop from a height, there might be other scenarios that can damage the screen. For example, closing the laptop with something left on the keyboard like a cell phone or a flash drive can cause the screen to break or fail. We highly suggest you take good care of your laptop screens as they don’t come cheap. If there is a minor glitch and it can be easily repaired, then that’s a different story. In case of you having to replace the whole screen of the laptop, it will be a big hit on your wallet. Again, we would recommend doingn’t try to replace or repair the screen yourself because of their delicate nature. You should take the laptop to a nearby laptop repair store and get it replaced or fixed from there. Another very common failure that many repair shops fix is the failing or damaged hard drives. It can be hard to track because the symptoms of a failing hard drive are similar to many other failures. Usually, the system will boot fine, but you will start to experience slow performance. Another scenario is when you turn your laptop on, the boot device is not recognized. 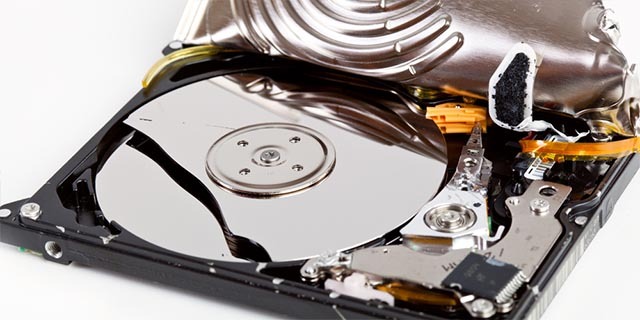 Another symptom of damaged hard drives is the making of unusual sounds such as grinding or ticking sounds. If you are observing any of these symptoms in your laptop, you should not waste any time and take it to a laptop repair shop urgently. If you keep using a failing hard drive, it can make things worse. The worst case scenario is when you ignore the failing hard drive and lose all the important data that is stored on that hard drive. There will come a time when you will not be able to access any data on your hard drive. Then it will be very difficult for you to recover data from your drive without sending to an expensive data recovery firm. Hard drives for your laptop can prove costly. It usually depends on the model and the manufacturer of your laptop. For example, Apple’s MacBook hard drives are more costly than the hard drives which can be installed on a Dell Laptop. Everyone loves to adjust the screen of their laptop how they want, right? The continuous use of a laptop can cause it hinges to fail or break. It is one of the most common laptop failures. The screen will not be able to keep in its position when the hinges are broken. It can even lead to screen damage because of the falling or flop around of the screen when the hinges are broken. Laptop hinges are delicate and usually not made of the best material. That’s one of the reasons why they are easily broken. Hinges can also be damaged when a laptop is opened beyond the angle at which it should stop or when it’s picked up by its lid. The good news is that it can be easily repaired. It will not cost you much as compared to the other repairs. 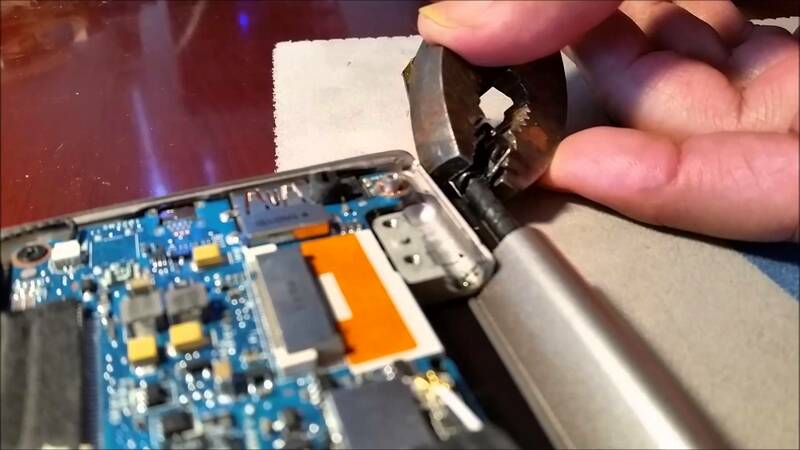 You might also find ways to keep a laptop open when the hinges are broken, but we would recommend that you get them repaired as soon as possible. It is by far the scariest and most expensive laptop failure. Many old laptops with extensive use have faced this issue. This failure requires more expertise because, to repair the motherboard, the entire laptop has to come apart. The board will then be taken out and repaired at the microscopic level. 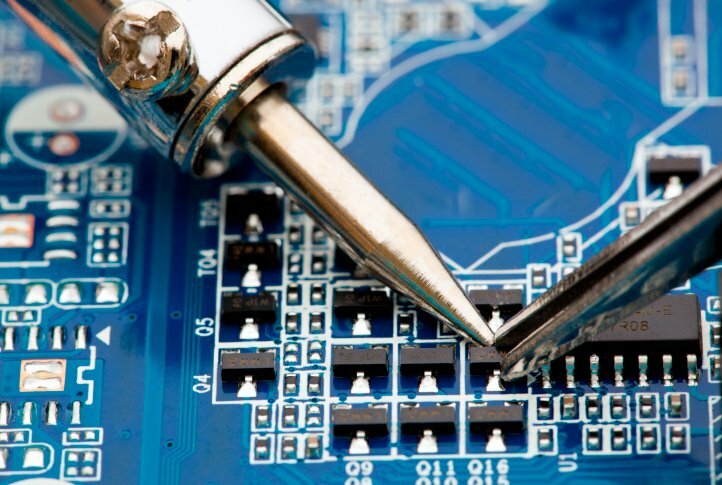 The repair of motherboard also involves very expensive equipment. The main cause of this failure is the heat issue. It’s also known as a thermal event. So the only way to prevent this from happening is to keep your laptop as cool as possible. Using your laptop on your lap can also lead to a motherboard failure because when you are using it on your lap, the air intake for the exhaust fan which is located on the bottom might be covered. It can prove to be very dangerous. Another precaution that you can take regarding this issue is to download and install a free utility software that can monitor the temperature of your laptop. Also as your laptop ages, running the processors at 100% constantly might also cause a spike in temperature of the laptop. You can try running it at 95% which will give a drop in the core temperature. In case your laptop keeps getting hot after normal use, you should not waste any time and take it to a repair store and get it examined. It better to be cautious rather than having to pay more for the motherboard repair, right? Another laptop failure that is very common amongst laptop users is water damage. 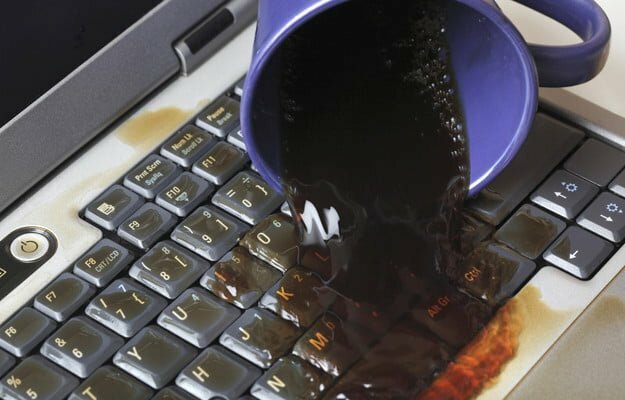 Many users accidentally spill water or drinks of their laptops. It can lead to internal damage or even make the laptop dead. You might get lucky if the water does not go beyond the keyboard, and you get the chance to save your laptop from being unusable. We will talk about what to do if you spill water on your laptop. The first and the most important step is to turn off the laptop and remove the adapter and battery of your laptop. The main purpose is to make sure that not a single volt current should pass through its circuitry. It can result in frying the areas with water damage. You will need some equipment to remove the battery from your laptop. Then you should unplug all the external hardware. Now you need to dry the laptop. You can use a towel or a blow dryer for this purpose. After that, you need to remove as much hardware as you can. You can find many tutorials online to know how to remove the hard drive, the RAM or other detachable components. Now you have to let your laptop dry and don’t turn it on for sometimes. When you think it’s completely dried, assemble it and turn it on. Hopefully, it will normally run like before. 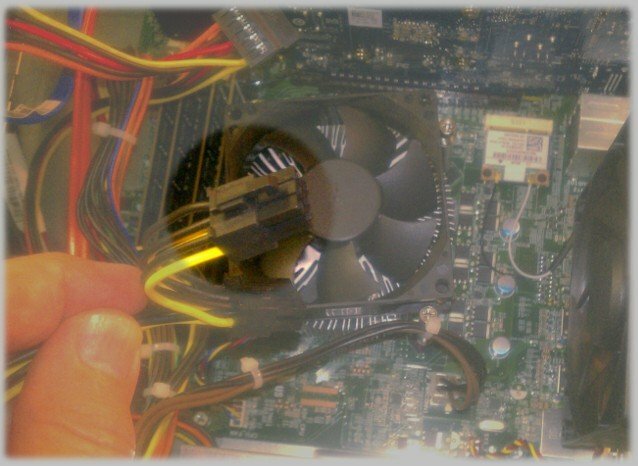 A CPU fan is installed to make it cooler and prevent it from heating. The first noise that you hear when you start your laptop is the sound of the CPU fan turning on. There are many instances where the CPU fan stopped working, and it’s one of the most common laptop failures. It’s not hard to find out that the CPU fan is not working. Apart from you not hearing the sound at the boot, other symptoms can include your laptop turning off suddenly and not even restarting unless you press the power button. It can also cause the laptop not even to boot anymore. Most of the time the CPU fan might not work because of the dust stuck inside it. The best remedy is to take it to a laptop repair specialist and have the fan cleaned. So these were some of the most common laptop failures.